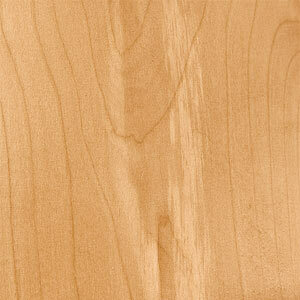 Our non-figured Big Leaf Maple is wonderful wood - it's easy to turn, takes dyes or stains well and finishes beautifully. It's great for projects involving pyrography or dying. Around here, we call our non-figured maple, "practice blanks". For beginning turners it's an affordable way to improve woodworking skills. Big Leaf Maple gets its name from its large leaves, which commonly reach a width of 6 to 12 inches across, making them the biggest of any maple! It is a commercially important hardwood timber for the United States' west coast, where it is virtually the only commercial maple species in the region, but here at North Woods we love Big Leaf Maple for it's ease of turning and adaptability to a wide variety of projects. Did you know the current National Champion big leaf maple is located in Marion, Oregon, not too far from us? It has a circumference of 25.4 feet and an average diameter at chest height of about 8.1 feet. It is 88 feet tall with a crown spread of 104 feet. That's one big maple! These North Woods Maple practice blanks do not contain figure, but their reasonable pricing makes them perfect for those new to turning, trying a new project or simply wanting to make "guilt free sawdust."